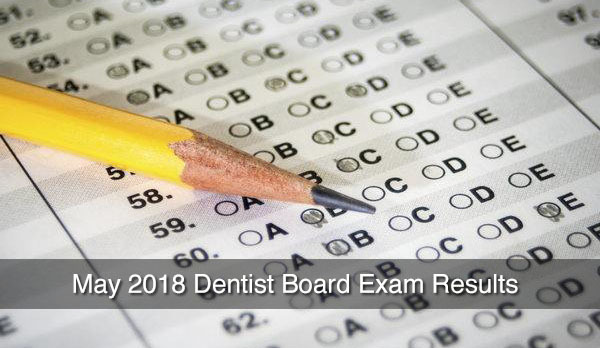 The May 2018 Dentist Board Exam Results are expected to be out online anytime soon. The Professional Regulation Commission (PRC) is expected to release the list of May 2018 Dentist licensure exam passers and top 10 two to five days after the last day of examination. Possible date of release is between June 3 to June 5, 2018. PRC and the Board of Dentistry conducted the Dentist licensure examination in testing center in Manila on May 29-31, 2018 and June 1, 2018. The members of the Board of Dentistry who gave the licensure examination are Dr. Roberto Tajonera, Dr. Rannier Reyes, Dr. Melinda Garcia, Dr. Gloria Bumanlag and Dr. Maria Jona Godoy. Keep locked on this page, the May 2018 Dentists Board Exam Results will be posted below once released online. UPDATE: The Professional Regulation Commission (PRC) announces that 509 out of 1,117 passed the May 2018 Dentist Licensure Examination (Written Phase) and 509 out of 521 passed the Dentist Licensure Examination (Practical Phase) given by the Board of Dentistry in Manila last May 2018.